I’m super excited to share my new release with y’all today. An Informal Arrangement (book 2 in the Informal Romance series) came out earlier this month, and what a busy month it’s been! Book #1 (An Informal Christmas) got a new cover to match the rest of the series. Book #3 (An Informal Introduction) is with the editor and is currently planned for a May 2nd release. Book #4 (An Informal Reception) is a bit further along in the planning stages and will hopefully see the light of day before winter sets in. I think I’m ready for a nap! While I snooze (You have to admit, it’s been a busy month! ), enjoy this blurb and excerpt. Holden Jenkins receives a diagnosis that alters the course of his life. His slow recovery is pockmarked with discouragement and puts his future in question. Will he ever again walk without pain? Or be well enough to return home? Maddie Smith is an ICU nurse on the verge of burnout. In need of a change and drawn to a man she barely knows, she goes on sabbatical and takes up the fight to get Holden back on his feet. As he searches for his identity in the midst of this new life, Holden struggles with a deep hurt. Why would God allow this? Meanwhile Maddie, shaped by her own emotional scars, battles against an unseen God she’s not sure she can believe in. Will these two be able to find peace — and a future together — or will the difficulties they face push them apart? “Did someone forget to tell you that only crazies hide keys? People are skilled at finding those. You’re lucky the place hasn’t been burglarized.” That had to be the same voice she used to lecture patients on the importance of brushing their teeth. Compassionate and incredulous. Thank y’all for stopping by and spending some time with me! I hope Holden and Maddie have caught your interest – or at least your imagination! Now for the giveaway! Giveaway – You see a hint of it in this excerpt, but Maddie has a fear of all things amphibious. To enter the giveaway, all you have to do is tell me in the comments below about something you’re afraid of – rational or irrational. Easy peasy (unless you have a fear of typing)! 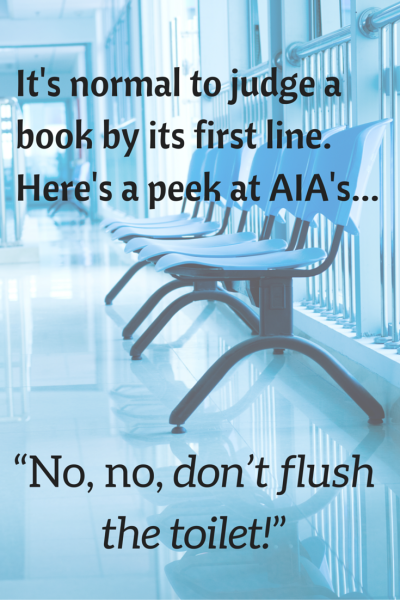 One commenter will be randomly selected to win a e-copy of An Informal Arrangement. Winner will be announced March 11th. Check the 3/7/16 Sunday Edition for winner information. Thank you to everyone who participated!! Thank you for the excerpt, looking forward to reading the rest of their story. I lived in a rural part of the Arizona desert for a while when I was growing up. I remember walking around a building one time, hearing a rattle, and looking over. A rattler was coiled in a gully three feet from me. I’d never feared snakes until that moment. *shudder* I empathize with you! You have been busy, Heather. Congratulations on your latest release! As for me, my fear is heights. Thanks for sharing the excerpt, I enjoyed it! I’m scared of letting people down so I try to please everyone which then leaves me ragged 😊. Looking forward to reading this story! I understand completely! I used to be that person who said yes to everything I was asked because I never wanted to disappoint anyone. I ended up so overwhelmed, though, that I I couldn’t find myself in the midst of my own life anymore. I got so busy doing things FOR God (because people had asked, and I’d said yes…) that I was no longer doing things WITH Him. That’s when I realized I needed to pull back and reassess. Ultimately I discovered that saying no to people didn’t disappoint them. Saying yes and then not following through, however, did. So I started saying no a lot more often so that I could keep the commitments I made when I said yes. Let’s face it. We all want to be loved, and we feel like that love is threatened when we let people down. Thank goodness we have a marvelous God who loves us unconditionally and who pours His love out into our lives readily and abundantly! Wishing you a disappointment-free day!! Heather thanks for including your holiday romance An Informal Christmas in Love’s Gift: 8 Christian Romances Celebrating the True Meaning of Christmas. Inspiring holiday read from talented Inspy Romance authors. Even though I am not allergic to bee stings, I am not fond of bees or wasps. After loosing my two top front teeth, I was stung on my upper lip. It was July and hot. The swelling made it difficult to drink even with a straw. A few years later my mom accidentally hit a buried wasp nest. Fortunately she was only stung about 5 times. So flying buzzing insects scare me, as do slithering snakes. As for bees…gah. Don’t get me started. I have a mild allergy, but it gets worse each time I get stung. I’ve been known to scream, run, wave my arms wildly…or sit perfectly still. I was at a church picnic one time, and a wasp landed on my glasses. I sat there, eyes closed, feeling its wings beat against my brow as it walked along the edge of my glasses. I heard someone say, “Does she know…” I stayed so, so still…until I couldn’t take it anymore. Then I screamed, flung my glasses, off, and got venom on my eyelid. The thing with a wasp is that they don’t have to puncture you for their venom to do damage. Ugh. Worst picnic experience ever. I still cringe in pain when I think about it. But, I survived. My eye did, too. Luckily the venom only got my eyelid and not anything deeper. Thanks Heather for taking the time to write a personal fun reply to everyone’s comment. It was my pleasure to get to know you better as a person and author. This was a fun question. While living in Chicago, in our church six couples with young children monthly got together for fellowship. Teens in our church babysat. During the summer we all went camping. One particular nice summer night, we all shared our fears. It brought us closer together as a group. Now 30 years later, we still talk about that night. Best wishes and happy writing. Thank you Renate – best wishes to you as well!! I don’t like anything that flies around my face – birds, bugs, bees, etc. Heights are not good for me either. Anything that flies around my face is automatically assumed to be part of an enemy assault and is appropriately dodged. I don’t like heights. My kids love to tease me about it. I also don’t like organizing and planning parties and my daughter is getting married and I need to plan a bridal shower :-)! Yeah, I’m not a fan of heights. I’m also not a fan of social functions in general. Put me somewhere and give me a task to complete – no problem. Put me somewhere and expect me to make small talk and keep people entertained? Expect panic. I’m sure that whatever you put together will be fabulous and that your daughter will appreciate it and know the love you poured into it! I see that I am not the only one afraid of snakes. :-) Snakes are one of my biggest fear and always have been. Years ago, we built a beautiful home on 5 acres of land. But, since we were out in the forest area, there were lots of snakes. Now, we live in a more city like atmosphere and I’ve only seen a few of those awful creatures. Thank goodness! Starting at about the age of ten, my son started discovering snakes in our back yard. And bringing them into the house. I’m pretty sure he was hoping to elicit a scream from me, but I was decidedly (and shockingly) calm that first time, which surprised me. I’d not been a fan of snakes up to that point. I’m still not a fan, actually, but since I still have a son who likes to try to shock me with slithery creatures, I have become a bit numb to it. Having said that, if I ever saw one crawling around in my house, I’d probably freak out to the nth degree. There would be screaming and gnashing of teeth. And some convulsive shuddering. I hope you have a fantastic and snake-free day!! Hmm…I am not a huge fan of snakes or scorpions. I am not afraid of frogs or lizards–I think they are cute! Scorpions – yuck! My husband got stung by one when he was in high school. He recounts the story with great gusto…especially the “agonizing pain” part. I’ve never been stung, but I’ve dealt with my fair share of them. I can remember sweeping the floor and ending up with scorpions in the dust pan. NOT a fan. They’re creepy looking and… *shudder* Definitely not a fan. I’m afraid of tragedy happening and my lack of control. I know God’s got it all in his hands, but it’s just the pit feeling in my stomach. I have an irrational fear when I go to baseball games, that no matter where I’m sitting, it can be the worst nosebleed section that will never see a ball, but I am scared to death of getting hit with a ball! I also don’t like anything that can buzz around my face. I have a fear of being stung. Another insect that I don’t care for although it isn’t a fear is stink bugs. They get into our house and buzz by you. Then you have to find them and capture and release them back outside. You don’t want to kill them inside since you would have that awful stench that they release. Heather I have An Informal Arrangement on my Kindle to read so I don’t need to be entered into your drawing. I’m so glad you could stop by today, Nancy! Ballet is so beautiful, too! Much more graceful than baseball any ol’ day of the week! Hi Heather, I was just talking about this the other day at the school where I work. There is a bridge in Newport, OR that really freaks me out. I felt real unexplainable fear the two times I’ve been on that bridge. I’ve come to the conclusion that not all bridges are made equal. Where we live now, we occasionally have to go through tunnels that go under water – the one that take you under the Chesapeake Bay comes to mind – and those are not my favorite. I don’t panic exactly…I just get uncomfortable. I figure if I’m on a bridge and go into the water, I have a slim chance of escaping. If I’m under the water, though, and the walls cave in, I’ll be crushed before I can escape. I hope you don’t have to go anywhere near that Newport, OR bridge for a long, long time!! Heather, I don’t think I could go in an underwater passage. I cringe just thinking about it. Driving over tall bridges! I really don’t like the big, tall, curvy mixmaster type bridges! Thankfully I live in a small town and don’t often have a reason to drive over those! Thanks for the excerpt. Sounds like a fun book. Hi Julie! I’m pleased you got to spend part of your day with us! Someone else mentioned bridges, and I can understand! Some bridges don’t bother me, but I’ve been on at least one that made my stomach flip flop more than I’m comfortable with. Here’s to staying with all four (or two, I suppose) tires firmly planted on terra firma! Congrats on your new release, Heather! Alligators and snakes are perhaps my biggest fear. My husband and I recently cruised to the Western Caribbean. Our favorite island was Belize where we took a river cruise (sort of like the “live version” of the Disney World Jungle Cruise, LOL). We saw tons of alligators, crocodiles, bats (but they were little and actually sort of cute), and iguanas, but thankfully no snakes. I’m just thankful they weren’t up close and personal! Heights would be my other biggest fear. That glass floor above the Grand Canyon scares me to death to even think about it! Congrats on the new release, Heather! Sounds like some great characters there. Snakes and rodents. They gives me the creeps. Snakes usually eat rodents, though, so that has to be at least one point in their favor, right? We were on the outskirts of a hurricane a few years back, and our house ended up infested with mice. (I assume their usual home got flooded – hence the hurricane reference.) Anyway…I’d never given rodents much thought prior to that. Now I can safely say I don’t ever want to see another mouse. Ever. Times ten. I have a fear of lightening, ever since I was almost hit (or thought I was almost hit) when I was about 10 years old. Agh! Lightning…While not a full-on fear, I’ll gladly jump on that bandwagon with you. I was driving in the Arizona desert one night, and I got home, opened my car door, stepped out of the car and started toward the house. I didn’t close the door because I needed to go back for something. Lightning struck right between the open door and the body of the car literally within seconds of my standing in that spot. I developed a healthy respect for lightning that night. Heights! Can’t stand heights. Won’t even climb a ladder. I have a fear of just about anything with more than 4 legs. I am not afraid of heights, I have a fear of falling..I am slowly working through this..zip lining is helping me overcome my fear. Really high heights can make me queasy, but even something as small as a ladder – I’m not afraid of being four feet off the ground. I’m afraid of how much pain I’ll be in when I fall those four feet and land flat on my back, or with my leg twisted underneath me. My problem is, I’m just clumsy enough to pull it off, too. I have a pretty big fear of spiders. No matter what size it is, if it has eight legs I don’t want it anywhere near me. Hi Jessica! I’m glad you could stop by today! Where I live, we have these things called cave crickets – or spider crickets. I’d never heard of them before moving to the east coast. The first time I saw one, I’m pretty sure my friends back in Idaho could hear my scream. Even now, after having been on the east coast for seven years, those things still freak me out when I see them. It’s *only* a cricket, but…it looks like a spider. A huge ginormous jumping spider. I’m definitely glad that I’ve never encountered one of those here in Ohio. I’m afraid of snakes, no matter the size! My husband didn’t want our son to be afraid of snakes just because I was, so I once held a snake at the Children’s Museum so my young son would see it was okay. But I didn’t like it and I would be happy to never encounter another one as long as I live! I’m scared of heights. I first seriously realised this when going on a ski lift contraption over a gorge with my 8 yo daughter . I was reassuring her when she said to me ‘Mum you’re the one that’s scared!’ I even get white knuckles on the Ferris wheel. I went on it with my teens because I wanted to prove to myself that my fear would not beat me. Hi Diane! The only way I’ll ever end up on a ski lift is if I’ve been heavily medicated or if I tripped and fell onto the seat as I was walking by one. Or, I suppose, if somebody on the other end had a life-and-death situation that only a middle-aged writer with a fear of plummeting to her death could help with… I admire your bravery so much! I have pushed through fear or one sort or another many times for my children, and I suppose if my son wanted to go skiing on a ski lift, I’d find a way to push through that fear, too… Even as I secretly hope he never takes up an interest in snow sports so that I never have to cross that particular bridge… ^_^ (Perhaps I need to read more Bible verses on courage and not being timid!) :) Have a fabulous day and thank you for sharing!! Since going into shock twice from nut allergies I never knew I had until a few years ago, I am even more fearful of eating out and food that others prepared (I also have Celiac). When students are eating around me or offer me things I almost break out in a sweat, I am fearful I am going to go into an severe reaction and need my epi pen in front of my students. Julie, I’m SO glad you stopped by today! I have a friend whose college-aged son has an uber-severe nut allergy. She told me once that they had to stop going to Chinese restaurants when he was a baby because he always cried and got sick afterward – even when he was too young to eat anything. They didn’t realize until some years later that it was the peanut oil in the air that was causing his problems. He can’t be anywhere near peanuts without having an adverse reaction. His epi pen is always handy. He went through several years where he was almost always on the verge of a panic attack when he was in public, especially large crowded places like malls and airports because there was no way to know if somebody walking by was munching on a peanut granola bar or anything like that. He eventually got past the panic phase of things, but he is still super cautious and will avoid a lot of situations where peanuts might be an issue. Anyway – thank you so much for shining a light on this one. We all have fears, but for most of us, those fears are irrational. Not always, but for most of us. Yours, however, is a clear-cut case of rational fear. That doesn’t mean we’re not to overcome it. God doesn’t want us to live with a spirit of fear, but whenever we talk about that, we often forget that how hard it is to battle a particular fear when it’s grounded in life experience on top of life experience on top of life experience. Kudos to you! And I hope you don’t have to put that epi pen to use anytime soon. Hugs! Hi Heather! My mother used to fuss at me as a kid because I would bring home salamanders and frogs and worms and all kinds of creepy things just like my male cousins would do. She despaired that I would ever be a ‘lady.’ As I’ve matured I still admire all of God’s creatures, but I’m not as fond of touching them or having them in the house! LOL! I do have a particular fear of snakes and spiders now, mostly because I’ve had some dangerous encounters with the poisonous kind. Still, if they stay away from my home, I’ll respect their space as long as they respect mine! Whether you call it a fear, or an extreme dislike…that would be snakes. I don’t want to even see them in a book. Thanks for the excerpt and giveaway. Glad you could stop by Terri! Snakes are a popular one, that’s for sure! And while we call it fear, it’s probably more of that extreme dislike you talked about. I say I’m afraid of spiders, but it’s not so much that they scare me as they sneak up on me and startle me. They show up where I don’t expect them to be, and it startles me, which I label as fear even though it’s probably not. (Don’t get me wrong. I dislike the little eight-legged critters. I won’t be inviting them over for dinner anytime soon…) :) I hope you have a marvelous weekend! Someone mentioned fear of heights….oh yea…that’s me! Or being in tight enclosed spaces, especially in large, close crowds of people. As far as bugs, reptiles and things, most things don’t bother me that much. Bees, wasps, hornets, yellow jackets and the like scare me real bad though. You got me hanging on the cliff with your excerpt, Heather! Now I have to find out what happens……. Every now and then I have to drive through a tunnel that goes underneath the Chesapeake Bay. I don’t generally have a fear of enclosed spaces, but even I think that tunnel gets to feeling awful long after a while. I have a couple of friends who can’t bear to drive under there at all. They’d rather go a whole bunch of extra miles in heavy traffic to stay above ground (and water) because they can’t handle the dark, tight, enclosed tunnel. I’ll pick the tunnel over the extra miles any day, but I also understand their choice! Mice freak me out! Not apparent reason not sure why. It was the one thing I didn’t like in Cinderella. As someone who’s had to deal with mice more than once, I can tell you they’re destructive little creatures. I’m not exactly in the mouse fan club. I wouldn’t call it a fear exactly, but I’m most definitely not fond of the little things. If I never see another one, I won’t at all feel cheated. Isn’t that what the Pied Piper is said to have done? He was supposed to play his lute, and all the mice in a certain town were supposed to follow him out so the villagers could be free of the little beasts? But instead he got all the children to follow him…? Hm. Time to go look up my fables and see if I have the story right. Wishing you a blessed and mouse-free day!! So glad you could stop by Teresa!! Leeches! Ugh! Just thinking about them makes me shudder… the way they move, the way they look… I’ll stop right now! My friends and family make fun of my foam aversion. Examples are egg crate mattress support, foam brushes, dry magic erasers (but I’ve been working on that one, some days I can do it, other days I get my rubber gloves on! ), small foam balls, giant foam fingers *shudder*… anyway, you get the idea. I can’t stand the texture and I’m getting the willies just thinking about it!!! My family has chased me around the house with these things until I scream, cry, and beg for mercy. So…texture’s an interesting thing. When my son was a toddler, he didn’t like mashed potatoes. Being the good mom that I was, I decided he just needed to try them, and once he ate some, he’d realize how fantabulistic they were. So I forced a spoonful of mashed potatoes into his mouth. He promptly threw up all over my shoes. So I waited a couple of years. Then, around about preschool age, I decided it was time to force the issue again. After all, he had a more mature palate. Surely he’d love the fluffy white spuds. (After all, we lived in Idaho. Come on! Who didn’t love potatoes?) So I made him take a bite of mashed potatoes…and sacrificed another pair of shoes to the endeavor. That’s the day I decided that some people really do have texture issues, and it wasn’t up to me to fix the world by forcing them to get over it. Incidentally, he’s now 16 and hasn’t had mashed potatoes in, oh, twelve years or so – ever since I lost that last pair of shoes. Thank you for stopping by and sharing Beth!! Mine would be worms. Miniature snakes which you run into more often.